There is no shortage of places to go, activities to participate in and things to do while on board any Disney cruise ship. Each evening a Navigator is delivered to your room with a full agenda of the next day’s events listed by the half hour from morning to early the next morning. 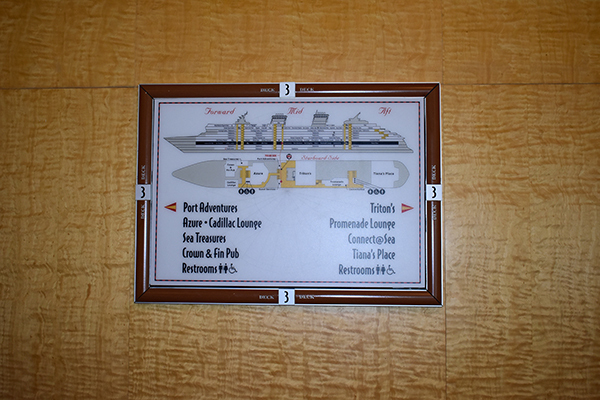 From movie times, character times, show times, activities and more, most of these of events will occur in one of these rooms in the forward part of the ship: After Hours, Fathoms, Keys, O’Gills Pub, Ooh La La, The Tube, etc. These venues have different names based on the ship you are on, but they are located in the same area. Everything on a Disney Cruise ship is family friendly. 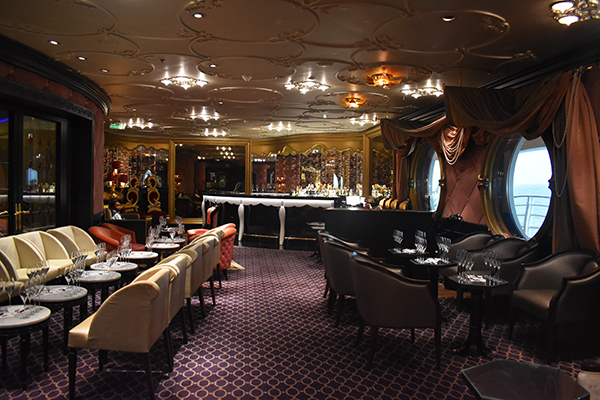 During the day these areas of the ship are open to all guests. 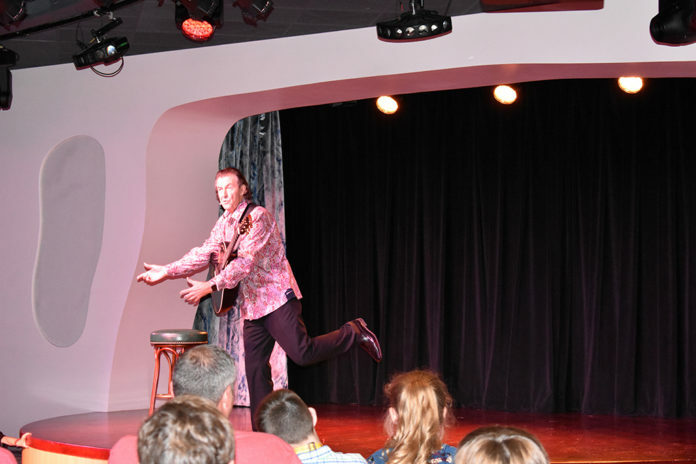 You can find puppet shows, ventriloquism, live music, more intimate gatherings for the featured performer from the Buena Vista theater, comedy shows, crafts, and more. One of our favorite performers is John Charles, voted solo artist of the year by American Entertainment Magazine! His show combines a mix of comedy, music and improv all with audience participation. Gabriel got him to sing ‘parts’ of a John Prine song (it was still during family hours)! At night these three locations serve alcohol and are reserved for 18+. These rooms are all conveniently located to each other, and away from the rest of the ship. You’ll find large portholes down these corridors and may even find guests using them to take naps in during the day. Iridescent blues provide mood lighting day or night, with textured walls that mimic the ocean waves. We originally didn’t spend a lot of time in this area, as we don’t drink, but regretted it once we finally did check it out. We realized quite quickly there these areas of the ship offered a lot more than just a enjoying a few cold ones. In these rooms you’ll also find a variety of recreational things to do from game shows, to karaoke, chess, checkers, backgammon sets, and live sports on the TV. When the clock strikes the witching hour, this is also a great place to pick up a few late night snacks from cocktail weenies, to chips and salsa to fresh cut fruit. Each room features a full stocked bar and bartender. And the bathrooms? They are incredible. 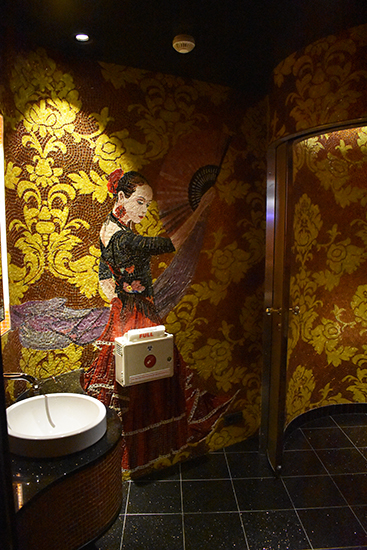 On the Disney Fantasy they are fashioned after Spanish bathrooms with gold ornate tile mosaics and huge private stalls with rounded doors that close ceiling to floor. This is where your Navigator will be your best resource. You’ll be able to pinpoint exactly which activities you want to participate in. One afternoon Gabriel and I watched a ventriloquy show and wished we hadn’t sent the kids to the Oceaneer Lab! The adults sat in the chairs surrounding the stage, but the kids were all sitting in a semi circle in front of the performer, mesmerized as he taught them all the basics. Utilizing the Navigator you can see which activities are being offered in one of the venues, versus what is being offered in the Kids Club, or elsewhere and plan accordingly. 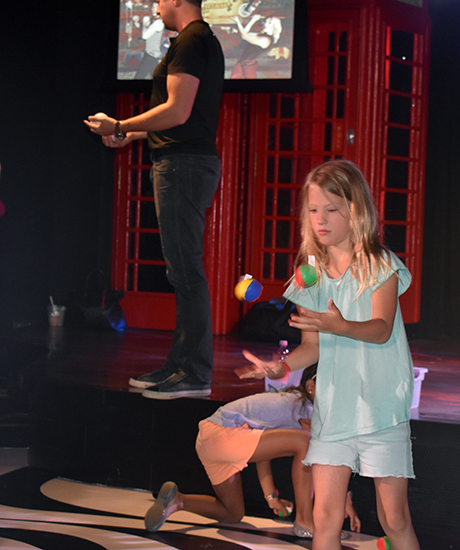 ► For Kids: The day time activities are intimate and small, which give kids an opportunity to interact with the performers, ask questions, and learn skills like songwriting, juggling, puppetry or joke telling. When the kids are tucked away at the Kid’s Club these areas provide great opportunities for parents to enjoy some time alone with free babysitting. 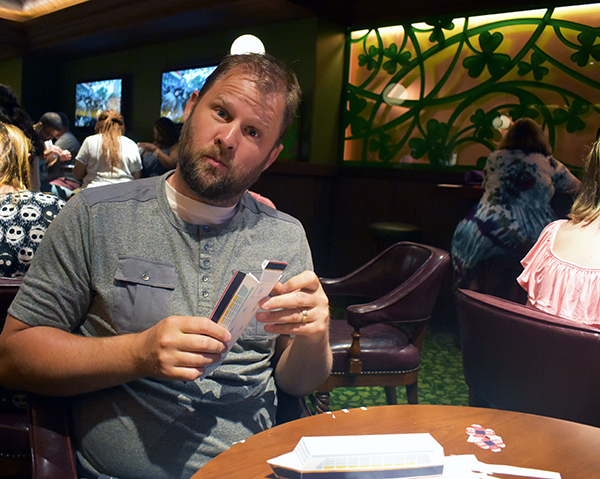 Though this article isn’t about the Kids Club, the Disney Cruise Kids Clubs are the best part of the Disney ship. 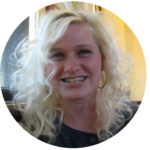 Our kids never want to leave because it’s so much fun, and there is just so much to do there. That leaves lots of time for Mom and Dad to enjoy the many activities the ship has to offer. What is your favorite thing to do on a cruise? 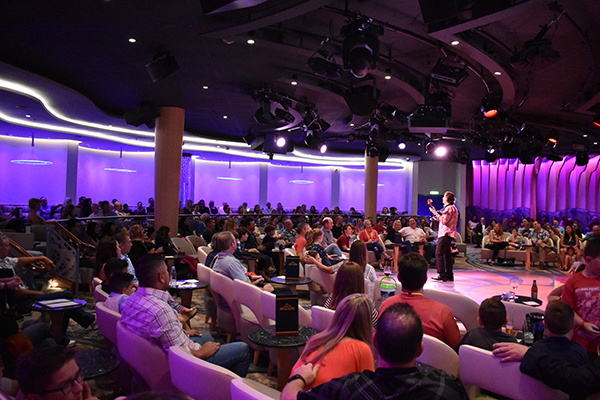 ► Nap-Time Version: A few of the more low-key parts of the Disney Cruise Ship filled with activities day and night. Check out our Destination Guide to Disney Cruising and read everything you ever wanted to know about from the pools to the Disney Cruise Kids Clubs to the Broadway Style Shows in the Walt Disney Theater!